Family Medicine Physicians are trained to handle 99% of the complaints that would walk through the door. 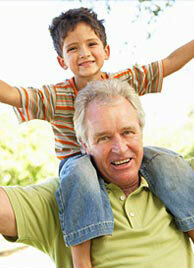 We are trained in adult, geriatrics and pediatric medicine. Having been trained in the areas of Internal Medicine, Pediatrics, Sports Medicine, Dermatology, and Urgent Care. A Family Medicine doctor is best suited to provide the highest quality of care to your whole family under one roof.